I purchased this book from Target. All opinions are my own. 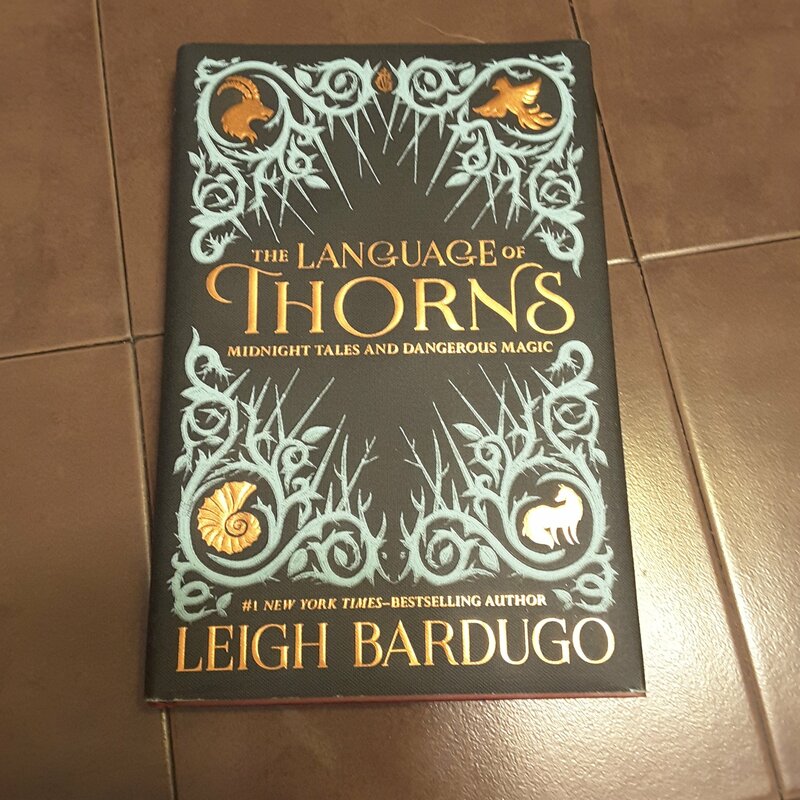 🌟🌟🌟🌟🌟The Language of Thorns Midnight Tales and Dangerous Magic by Leigh Bardugo. I will admit I was skeptical of this book, even at the checkout with it in my hand I thought of putting it back. I am such a lover of fairytales and was worried my image of them would make me second guess. These stories though are not a retelling per say they are more of a twisting with one another in a very unique fashion as to create a darker fairytale that can be it’s own story. Some of the stories are dark and twisted but in a way it’s almost a beautiful fable. Lesson learned the hard way, sorry for the bad luck kind of story. The illustrations are amazingly detailed and beautiful bringing to life the story one piece and one page at a time. Review also posted on Instagram @jasonnstacie, Library Thing, and Goodreads/StacieBoren.